Reading is such a critical life skill, yet it’s very hard for most of us to pinpoint exactly how or when we learned to do it. 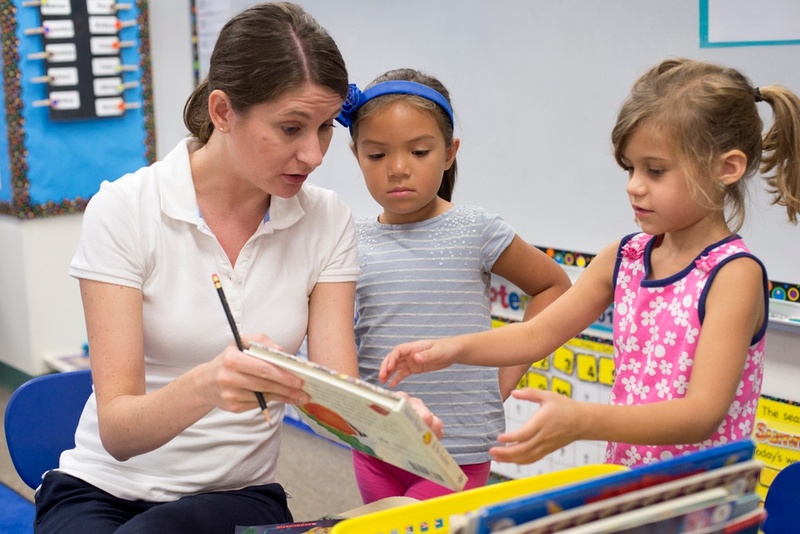 As young learners begin school, there is often a push to read, but it’s critically important to realize where children are developmentally and allow them the time to grow their curiosity and love of reading, alongside other necessary skills. Knowing a bit about the stages of reading development can help you support your child and encourage a lifelong love of reading. Once you get by a little bit of educational jargon, you will gain an appreciation for how your child is learning a very complex skill! 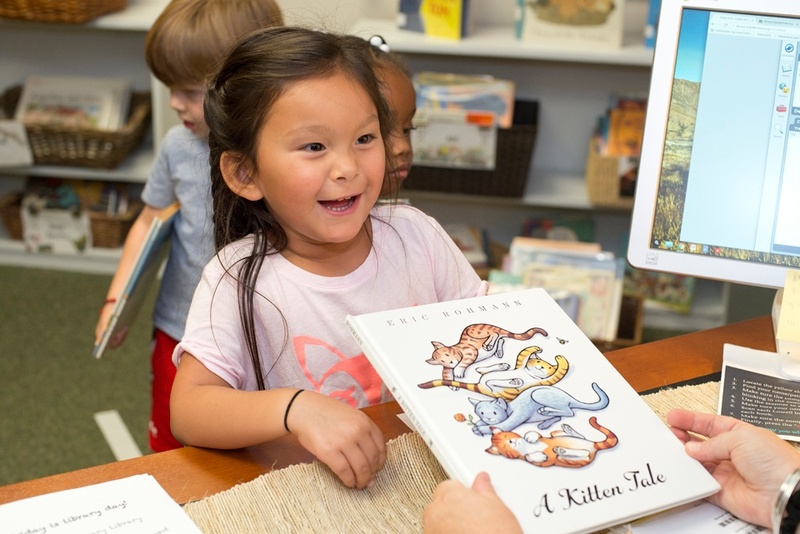 Emergent reading describes reading behaviors that occur before “traditional reading.” Traditional reading requires readers to recognize and draw meaning from a code or language. Consider how many rules you’ve internalized to read this. You must know where to start reading and how to read all of the letters, both uppercase and lowercase. You also need to know what sounds those letters make and when. Then, there are those words that do not follow any pattern and that you just commit to memory. Beginning readers still do much of the same work as emergent readers with two main differences. The first is that their letter and sound association is solid enough that decoding three- and four-letter words is a fairly simple task, and they are able recognize some sight words automatically. A beginner reading text typically has four to five words per sentence (usually with a repetitive pattern) and up to two sentences per page. The second difference is that beginning readers start to use their knowledge of letters and sounds to write. Often, they are able to express themselves in writing by recording the sounds they hear in a word. This is commonly referred to as inventive spelling, and we need to encourage it—inventive spelling is okay! Young learners will likely record the most dominant sounds in the word they are trying to spell, and that’s the goal. For now, we need to celebrate the fact that our littlest learners have internalized these big ideas: sounds in our language are represented by letters, putting letters together makes words, words have meaning, and writing words is a way to express our ideas. That’s pretty awesome, right? Not surprisingly, one of the biggest factors in learning to read is motivation. Like anything else, our children have to want to read. So, the question really becomes how do we grow this motivation? Make reading a part of family life. Make it visible, make it a priority, and most of all, make it fun! Children should see the adults around them reading often, especially for pleasure. Our lives are incredibly busy with work, appointments, meetings, playdates, and after school activities, but we really need to carve out some time for reading, whenever possible—in the morning before school, after school, before practice, bath time, or before bed. 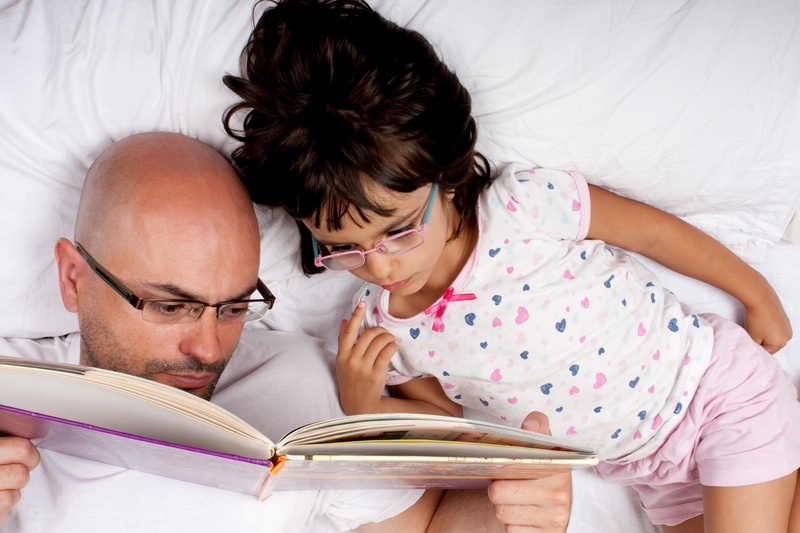 Hopefully, reading to or with your child will be (or already is) a part the day that your family looks forward to. Other motivating factors are choice and variety. If children choose books that capture their imaginations, or provide information on topics that interest them, reading will be more enjoyable (shocker!). They might become “hooked” on a particular author, genre, or topic and be motivated to read or listen to more (Scanlon, D., Anderson, K., Sweeny, J., 2010). Exposing your child to a wide variety of books is also a great way introduce new vocabulary and concepts that inspire curiosity. As your children get older, continue to make time for pleasure reading. Listen to them read and engage them in conversations about books and language. You won’t be sorry that you did! By building up your child’s vocabulary now, you may be significantly impacting their life as a reader. In the emergent and beginning literacy phase, young learners make use of their strongest literacy skill—listening/receptive language. Not the kind of listening that means following directions, but actually listening to and learning from the words they hear. Children pick up 3,000 new words per year, which averages out to about 7 to 10 words per day. Some, but not all, of those words will be learned at home and in the classroom, some from books, some from peers, and, yes, a few will come from the television, internet, and music. Picking up new vocabulary from peers and/or mainstream media may sound nerve-racking, but fear not. Children need to hear words being used in multiple contexts and multiple times to develop a true understanding of them and all of their features. Did you know “students’ knowledge of words is the single greatest predictor of reading comprehension” (DeVries, 2015)? 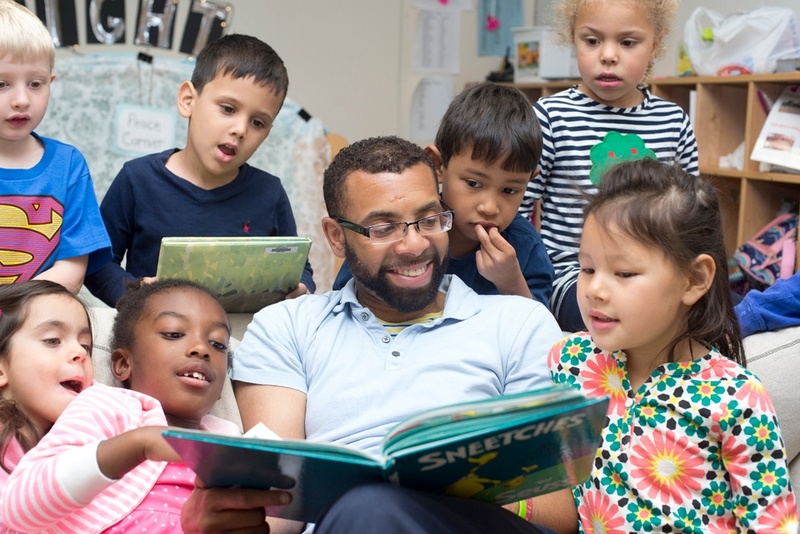 Children benefit when teachers and parents work together to support early reading efforts. 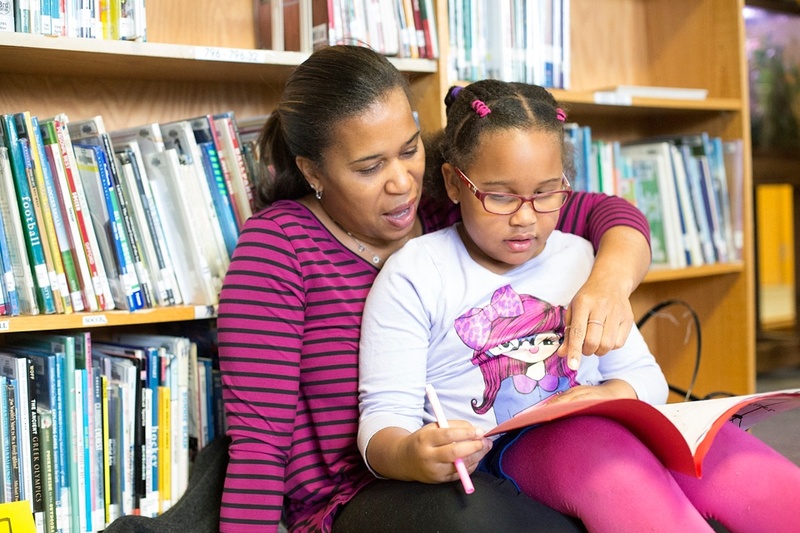 When you go in to school for your next parent-teacher conference, be sure to ask questions about your child’s reading and what teachers are doing to build skills and encourage a love of reading. Your child’s teacher might have additional suggestions for ways you can support reading at home. DeVries, B.A. (2015). Literacy Assessment & Intervention for Classroom Teachers (4th ed.). Scottsdale, AZ: Holcomb Hathaway. Scanlon, D. M., Anderson, K. L., & Sweeney, J. M. (2010). Early Intervention for Reading Difficulties: The Interactive Strategies Approach. New York, NY: Guilford.